There is a Japanese cherry tree on Stony Brook’s campus that stands for everything academia should be — it was planted in 1995 just outside of the Social and Behavioral Sciences Building to mark the passing of one of Stony Brook’s own — History Professor Hugh G. Cleland. Cleland’s memory sprang to life again at a Public Relations Professionals of Long Island (PRPLI) awards dinner on May 8, when 1987 alumnus Debra Scala-Giokas, a former student of Cleland’s, was honored with the PRPLI Mentor Award, which is one of six awards the organization annually presents. Scala-Giokas is currently an adjunct professor at Dowling College. The Mentor Award is given to a public relations professional who exhibits the four tenets of PRPLI — advance, learn, share and network — and is a source of inspiration and encouragement to others in the field. Class of 2012 Contest Winner…you can win too! Congratulations to Stephen Testino ’12 (Computer Science Dept) who won a Nook E-Reader from the Stony Brook Alumni Association for participating in the Graduation Information Fair! Class of 2012 sign up at http://bit.ly/SBAAregister by June 29 for your chance to win. 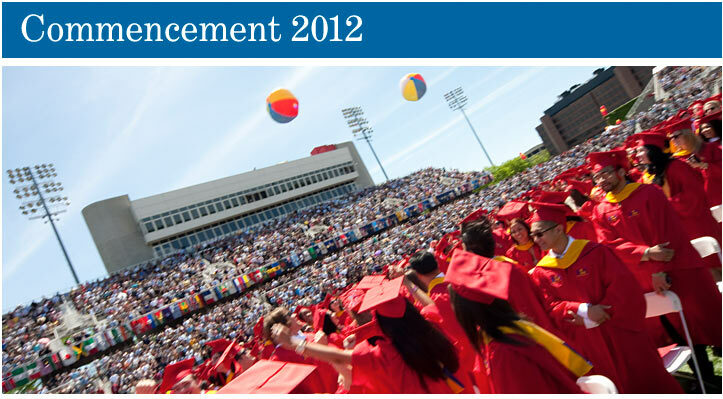 Visit us at the Alumni Association tent outside of LaValle Stadium following the Commencement ceremony. 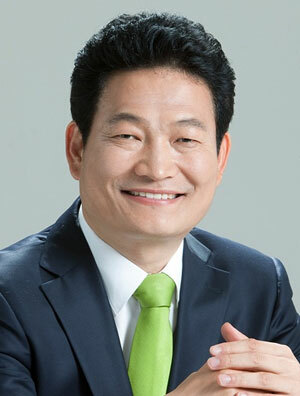 A talk by the Honorable Young-gil Song, mayor of Incheon, South Korea, will spotlight “Incheon City: A Mayor’s Vision” on Monday, May 14, at 3:30 pm in Wang Center Lecture Hall 2. An energetic politician known for human rights advocacy, Song is drawing attention for his plans to revive Incheon City through enhanced global integration. Student leader, union activist, human rights lawyer and passionate advocate of globalization and economic equality, Young-gil Song has been a strong voice for democracy since he became the first directly elected president of Yonsei University’s student council and participated in the democratic movement with students from other universities. In 1985 Song was sent to prison for a year and a half for violating the Law on Assembly and Demonstration. Following his release, he worked as a laborer and as a taxi driver for seven years, and at the age of 30 took the national bar exam to challenge human rights violations and improve unfair treatment of the underprivileged. In June 2010 he was elected mayor of Incheon Metropolitan City, which has led the economic development of Korea by opening its port to the outside world. As mayor, Song is spearheading the effort for Incheon City to become an active participant in the global economy. The event is free and open to the public. A question-and-answer session will follow the lecture. To her students, she’s Mama Grella. To everyone else, she’s one of the best science and math teachers in the nation. Brentwood High School teacher Rebecca Grella, a PhD candidate in Stony Brook’s Department of Ecology and Evolution, was named one of the top 10 science and math teachers in the U.S. and a 2012 Fellow last week by the Society for Science & the Public (SSP) for her ability to inspire a love of scientific research in the students of her community, many of whom are members of underrepresented minorities and come from families in poverty. She is the only teacher to be awarded this honor in New York State and, in fact, the only 2012 Fellow to be named in the northeastern United States. 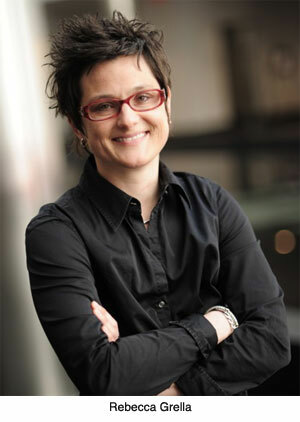 Grella, who also received her undergraduate (’99) and master’s (’01) degrees and teaching certification at the University, has created, in her own words, a mini-Stony Brook at Brentwood, complete with a state-of-the-art research lab where she nurtures and guides about 70 students each year in independent research. Her longtime mentor, advisor and friend, Professor and Chair of the Department of Ecology and Evolution Jessica Gurevitch, is delighted but not surprised by Grella’s national recognition. Last year Grella’s efforts netted $2.1 million in college scholarships awarded to 15 students who received full support at Yale, Brown, Johns Hopkins and other leading universities. Every one of those students did independent research at Stony Brook while in high school. Grella plans to continue acting as a liaison between Brentwood High School and Stony Brook University, doing her part to promote the hard sciences and further STEM education in the United States.